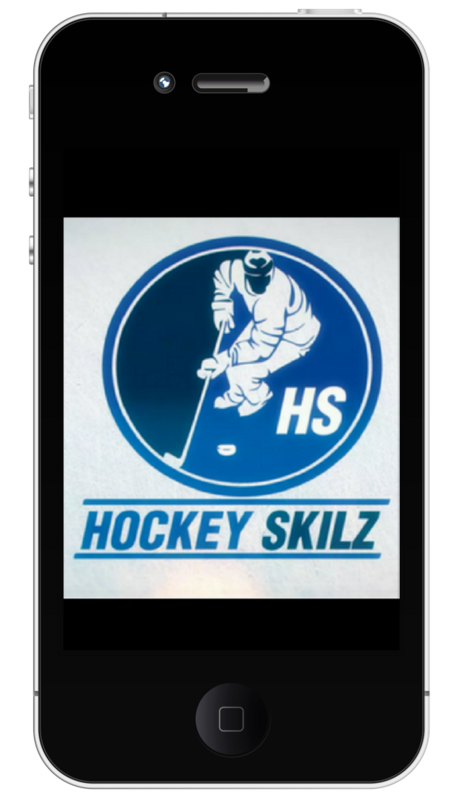 We built this program because we have realized that most of the training on the web is designed for the more advanced hockey player. Athletes who already understand the game and have developed some level of skill and athletic ability, but the younger kids (those under the age of 13) mite, squirt, and peewee aged players or older and adult players who are new to the sport of a hockey don’t really have any resources to help them develop – other than live coaching. Here’s the problem with live coaching. You, your kid, and your coach have a limited amount of time together. Ice time is difficult to come by when everyone’s schedule allows, and forget about getting enough private lessons. If your coach is any good then several people are trying to get that same time slot with your coach that you need. Hockey is a dynamic sport that requires a lot of control and skill. It requires attention to detail that is difficult to attain. With a sport like soccer you can toss out a ball and the majority of kids below the age of 14 can go out kick the ball around and can kick it toward and maybe even score a goal. (note: I’m not saying soccer isn’t a skilled sport – at the highest level these are athletes who have amazing skills and have worked hard to obtain these skills). Hockey requires that you stand on an awkward device (skate) on a slick surface (ice) and first just try to figure out how to move forward without breaking your elbow. Then you have to add a stick, a puck, opponents and an objective. This is exceptionally hard if your athlete isn’t involved in a solid hockey development program, then you might want to supplement their development. Some hockey players touch the puck 100 times a week if they are lucky. Let’s face it, if you don’t provide your kids the resources to develop as a true athlete and they don’t put in the reps necessary then they will never be more than average. The Hockey Skilz team is intent on changing that. If you want to give your athlete the chance to succeed and advance to the top level of the sport – it starts now. This program will teach you the skills you need to develop proper technique, positioning, power, and edge control. We will give you drills and schedules to help your young athlete develop the Hockey Skilz necessary to progress them to the top level of the sport. Come join us and give your hockey player the best chance of success. Why Do I need Hockey Skilz? Hockey is such a dynamic and difficult sport that demands high level skill, smarts, and speed. No one will master the game without commitment, discipline and hours and hours high level training. Whether it’s gap control, puck handling, passing, speed of play, edge control, or supporting the puck. 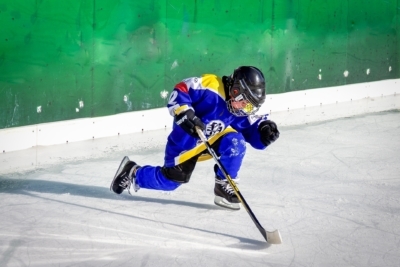 Training which leads to technical mastery means improvement on the ice during game situations. All the NHL players that you aspire to become or as a parent hope for your athlete weren’t just given the Gift of Hockey. Sure they are athletic and talented, but so is your athlete. The difference is putting in the time with the correct training and effort. If you put in the time you have a chance to succeed. If you don’t then you won’t make it to the top level of this sport. Hockey is no doubt the fastest most dynamic sport in the world. There is no sport where things happen as quickly and situations change as drastically in an instant as the sport of Hockey. What that means to your athlete is that from the moment they step on the ice they have to be prepared to compete. Their awareness, technique, positioning, pose need to be perfect. That only happens with repetitive practice and touches. Your athlete needs to be touching the puck 1,000 times per week instead of 100. That is what this program is about. Your athlete learning the skills to give them the confidence and edge they need on the ice. This happens with repetition of good habits. Hockey is dynamic, moments are dynamic, constant change of possession is part of the game and to be expected, but often these come during high pressure and tight control situations. Where a defender or defenders are instantly in your space, what do you do? You have to be confident enough in your skilz and creative enough time and space to control and handle the puck, stick handle, turn, shield (protect), cut, toe drag, pass, cup and shoot. Oh and you have to do this with your head up! If you find yourself in a position where you have to think about what to do next it’s enough to make you pass out from the pressure from the dreaded turnover. Tips, passes, sauce, pulls, cups, shields, deeks have to become intuitive and instinctive, it simply has to be your natural reaction. “Movement in tight space without thought, so only that primal reactive ability is what flows through your mind when the pressure is applied.” The drills in this program will develop these Skilz and instincts. 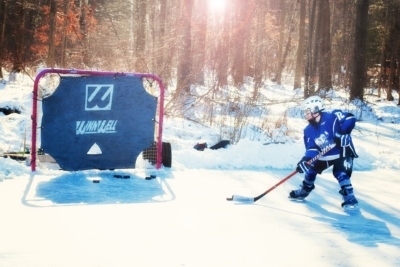 The stick…the puck…the skates – they become part of you. You know those players that you’ve watched move up the ice with the puck like the rest of the player are sitting still. The ones that look as if the game of hockey is effortless. They create opportunities for others and themselves, braking the ankles of defenders along the way. Our program is designed to show you the technique and give you the repetitions required for you this confidence. If you perform enough perfected reps you will train your body to have proper motor control, so those athletes that currently lack confidence and want to pass the puck up quickly will develop the confidence to skate through and around defenders. This is a new kind of online training program designed not just for experienced players, but for young or aspiring athletes. You, your kid, and your coach have a limited amount of time together. 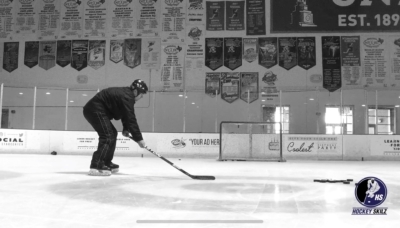 Using our carefully designed program will help you make the most out of your time on the ice by practicing and mastering the basics on your own schedule. If you want to give your athlete the chance to succeed and advance to the top level of the sport – it starts now. This program will teach you the skills you need to develop proper technique, positioning, power, and edge control. 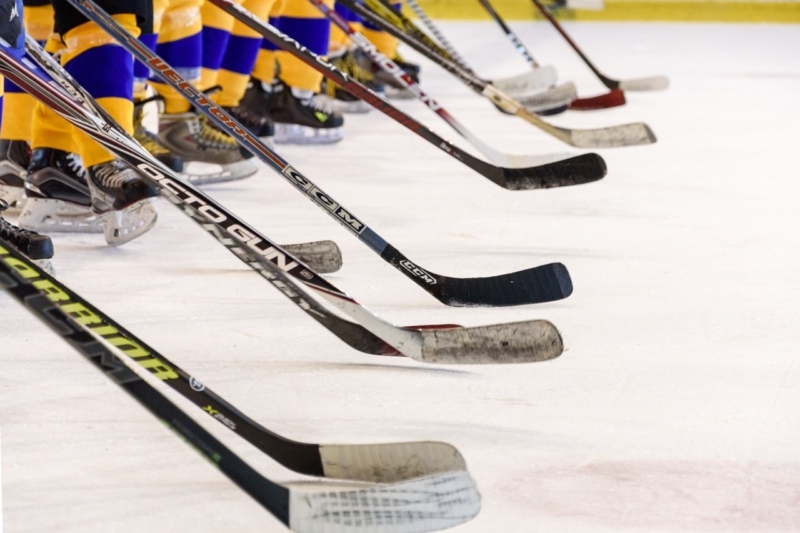 We will give you drills and schedules to help your young athlete develop the Hockey Skilz necessary to progress them to the top level of the sport. Come join us and give your hockey player the best chance of success. Why would you need this program? For several reasons. It truly depends on your desire and the commitment of your athlete. But if you want to play at the highest level for your birth year then you have to work tirelessly to improve. Did you know that there are 60 Division 1 Hockey programs! How many athletes do you think each of these schools takes on scholarship every year? 15? 10? 5? Actually most only go up to 3- 4 per year. So how do you earn one of those 200 spot per year? First of all you have to have good grades. Because without good grades you can be a rockstar Hockey Player and your not likely to get a sniff from any colleges. But let’s assume you have average grades? That cuts your options in half, so now your competing for 1 of 100 slots. Then what? First you have to be insanely talented and athletic. Do you think these Hockey Skilz just come naturally? No – NHL Athletes still work on their skill development daily. If you want your shot you have to train. We give you the tools to improve the skills necessary to give you that shot! You will hear often as your athlete starts their hockey career and for several seasons that “Your kid is not going to make it to the NHL” and you know what that’s absolutely true. No kid has ever made it to the NHL, and even most never even make it as an adult. But you know what? The NHL is full of athletes that worked on their skilz perfected their craft and have made the SHOW! Why not give your athlete tools to get them that shot! Let’s get started, because for the cost of a couple of private lessons you get a lifetime of instructional videos. This program was initially designed for the young Hockey player to teach the necessary skills to put them on the path to advancing their hockey career. In today’s world you have to start honing skills early. If you fail to put in the effort you fall behind early and it’s tough to catch up when you’re 14, 15, 16. Being athletic isn’t enough. These workouts and training are designed for technical mastery and muscle memory conditioning. Our goal is to help you get 1000 touches per week. We have established both On Ice and Off Ice curriculum which include drills for : Stick Handling, Passing/Receiving, Shooting and Skating. The program is designed to give you drills and instruction to follow on your non-practice days. The goal would be 3-4 days a week for 40-60 minutes per day. We suggest 20-30 minutes 3-4 days per week. Our curriculum will help you achieve this goal. We suggest 2-3 hours of open ice per week. Even better if you can get a private lesson with a professional coach. For this drill you will need a partner or rebounder device for off ice and on ice practice. We suggest 3-4 times per week for 20-30 minutes. We also suggest this drill 3-4 times per week for 20-30 minutes to help improve shooting skills. How does Hockey Skilz work? Sign up today and receive your lifetime access to content. No monthly bills, just a one time payment. All content available anytime from your devices using your log-in. Each drill has simple step-by-step instructions taught by highly trained coaches. We guarantee improvement if you implement our program into your off day training and follow or simple mastery schedule. This program will be challenging. Your athlete will have to focus on basics initially and develop the precise control and motor skilz to develop into a top level hockey player. We have had numerous players make it to the top level of Hockey (yes, even playing in the NHL) that have followed the training and techniques of our coaches. There are so many factors in the sport of hockey that require precision, positioning, pace, patience and practice. We will show you what you need to know, teach you the drills, show you the technique and create the schedule for following the drills accordingly. We will show you what to watch for in your athlete, how to monitor progress, when to make corrections. Then we will teach you how and when to implement the next steps. This is all part of our 3 step hockey mastery process. 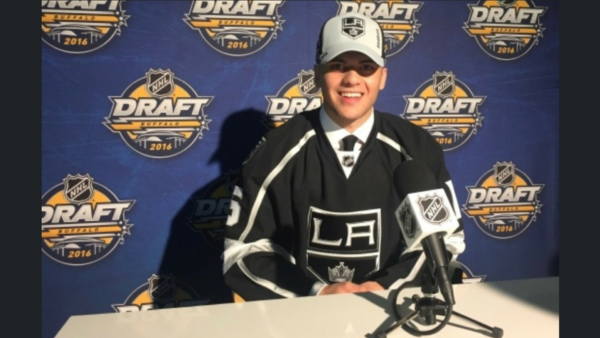 Trevor played youth hockey at the highest levels and at age 16 he made the move to Major Junior Hockey, where he played 5 years in the Western Hockey League. 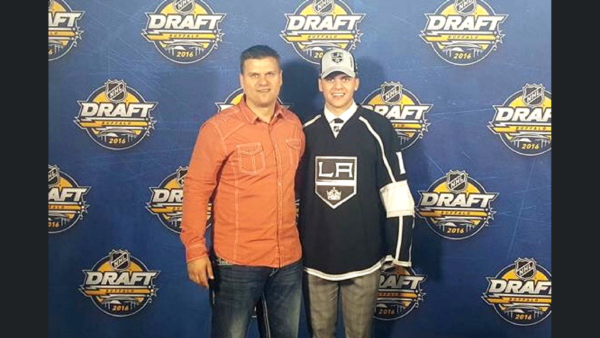 Trevor was mentored under coaches in the WHL that have also coached in the NHL. He played 5 years in both the East Coast Hockey League and the Central Hockey League. Trevor coached a Bantam AA team in Illinois to 5th in States before moving to Dallas where he has coached all levels from Mites-Midgets. He has coached AAA teams with the Dallas Ice Jets, Texas Attack, the Dallas Stars AAA and the Dallas Stars Elite. Trevor also coached a Bantam Major team to Nationals placing 3rd in the Nation. Trevor and his family reside in Lewisville, Texas with his wife Kimberly and their 3 children. 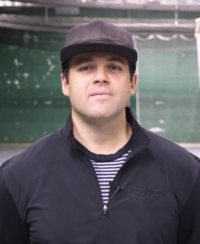 Michael Young is a full time coach for the Stars Elite program and also does private lessons. Michael has 8 years of Head Instructing Experience in Canada and has completed Levels 1 and 2 Certification through Hockey Canada. He also completed Levels 1, 2 and 3 Certification through USA Hockey. Michael has 5 years of junior hockey experience and was drafted to the Western Hockey League. 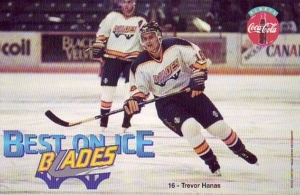 He played 1 year at the University of Manitoba (CIS) and played 3 years professional hockey in the CHL. Michael sees coaching as an opportunity to give back to a game he truly loves.